Compassionate Conflict Management is incorporated into the Challenged Communities Compassionate Conflict Management Initiative. 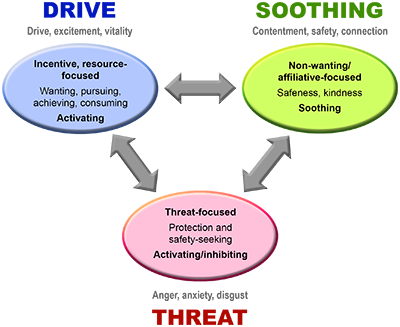 The Integrative Conflict Management Model (ICM2) and the Violence Integrative Prevention and Restoration (PAR) Model developed by theorist Ari Cowan — Director General at the International Center for Compassionate Organizations. The mediation and ombuds experience of Tony Belak, JD — Associate Director General at the International Center for Compassionate Organizations and Ombuds at the University of Louisville. Resources from the UK's Compassionate Mind Foundation. NOTE: While the Compassionate Mind Foundation (CMF) is a source of information for the development of Compassionate Conflict Management, the CMF is not responsible for the International Center's interpretation, application, or errors with respect to such information. Compassionate Conflict Management(CCM) is a new, advanced, and research-based approach to preventing and responding to conflict. Using an understanding of compassion as a foundation, CCM incorporates the Integrative Conflict Management Model (ICM2) and components from the Violence Integrative Prevention and Restoration (PAR) Model — demonstrated, evidence-based, and proprietary approaches developed by the International Center's Director General, Ari Cowan. CCM is informed by the work International Center Associate Director General Tony Belak's mediation and ombuds experience, the work of International Center Fellow Paul Gilbert, PhD (author of The Compassionate Mind) and the Compassionate Mind Foundation (Derby, United Kingdom) along with International Center Fellow Lidewij Niezink, PhD's (Bergerac, France) research and applications in the empathy field. Stephen Karpman, MD's (San Francisco) Drama Triangle is also an important concept in Compassionate Conflict Management. Personal Practitioners— Those who develop personal compassionate conflict management skills for application at home, in school, on the job, in social settings, and their personal areas of advocacy and interest. Professional Practitioners — Those in work environments who enfold compassionate conflict management skills as part of their professional competency. Trust Leaders — Trained organizational staff, community members, and professionals who provide information about compassionate conflict management; are an active voice for compassion, understanding, and the working out of differences, and are trusted members of their professions, organizations, or community social, faith-based, political, or other groups. This approach is being applied in the United States in a variety of settings, including law enforcement, organizational, professional, and community venues. Empathy is the intellectual identification with or vicarious experiencing of the feelings, thoughts, or attitudes of another. Empathy is the first step in engaging compassion, pity, or charity. It is an interpersonal attunement that can connect one person of another's joy, excitement, setbacks, and suffering. When suffering is involved, empathy is the gateway to compassion: the first step to the compassion experience. Compassion is a feeling of deep sympathy and concern for one who is stricken by misfortune, accompanied by a strong desire to alleviate the suffering. Compassionate action, as defined by the International Center is the act of taking personal responsibility for alleviating and preventing suffering. The CCM practitioner integrates these two concepts in his or her conflict management practice. For more information on how we define compassion and its derivatives, please visit our definitions page. Drawn from the ICM2, five manifestations or “bodies” are used to describe individual and collective human existence. The bodies are the: physical • emotional • mental • situational (social and environmental situation) • transpersonal (beyond the self). This is a “whole person” approach that facilitates more understanding and greater efficacy in mediation. 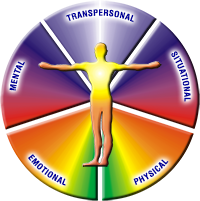 By mapping transactions in each of the Five Bodies, CCM practitioners have access to communication that goes beyond listening to reasons, goals, and other messages emerging from the mental body. The caress of a wedding ring, a hand tightly closed in a fist, multiple references to feelings (and their metaphors and similes), concerns about being and meaning, allusions to social and other environmental conditions (safety, shelter, want, etc. ), and physical expressions (e.g., grimaces, looking away, foot tapping, covering the mouth, nail biting) make up a communication topography within which the CCM practitioner can more effectively navigate. A key concept in the ICM2, the notion of the universal field and construct illustrates how we organize our experience of reality from the rich and complex body of information impacting our existence. 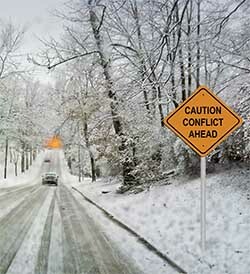 By recognizing and working with the unique constructs (world views) of those in conflict, the compassionate conflict management practitioner helps bridge and reconcile the disparities. Sometimes — because of the different ways constructs represent being in the world — constructs collide. This can be seen in conflicting views in religion, politics, child rearing, education, healthcare, social safety nets, peacekeeping, employee-manager relationships, environmental challenges, and so forth. DRIVE: An incentive and resource-seeking system. SOOTHING: A comforting and contentment system. THREAT: An impending danger and self-protection system. The graphic above-right illustrates these systems. Note that the threat system is the most easily activated. Real or perceived threats (e.g., political, religious) vary depending on the construct (refer to the discussion above) from which a person or group operates. The threat to these constructs (the underlying structure and content) is often taken very seriously, since the construct helps define one's sense of place and belonging. In-depth resources about the Compassion Focused Therapy interpretation and application of the understanding of these systems can be found on the Compassionate Mind Foundation website. The Compassionate Mind Foundation is endorsed by the International Center and is included in the International Center's list of partnering organizations. Power Swapping — Working to replace unhealthy applications of power with healthy variants rather than stripping power away. Power Infusion — A continuing infusion of healthy, authentic power by redirecting attention is applied following power swapping. Like all life forms, we need power to survive. In Compassionate Conflict Management, we explore healthy, unhealthy, and "neutral" forms of power. Examples of healthy power are listed above in the blue column to the right. Part of understanding power dynamics is interactive mapping, another ICM2 element — a process of grasping the topography of each of the five bodies to more effectively grasp the nature and depth of the intra- and interpersonal dynamics of parties in conflict. By becoming attuned to each of the bodies, the CCM practitioner builds a growing ability to grasp and understand communication emanating from each body. The drama triangle is a psychological model of human interaction developed as part of transactional analysis (TA) and was first described by Stephen Karpman, MD, in 1968. 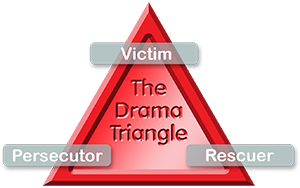 The drama triangle is a “game” in which people engage to get their unspoken (and, often, subconscious) needs and wants fulfilled. Understanding of the model helps therapists, CCM practitioners, and other professionals to effectively understand and respond to this unhealthy way of interacting between people. 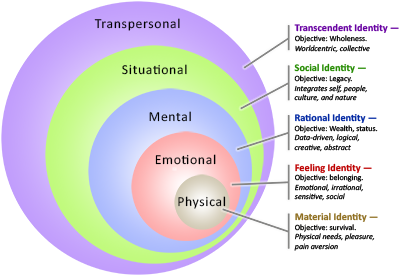 A “game” in transactional analysis is a series of hidden behaviors in which two or more people engage. It consists of ulterior (hidden) motives and moves toward a predictable outcome. Games are often characterized by the players switching roles as the process nears its end. These roles fall into three categories, each being a position on the triangle (refer to the illustration above right). CM practitioners identify and work with clients to meet the challenge of immediate crisis and its negative effects in adversarial environments. This ICM2 process is applied when someone objectifies and applies negative power to the another (e.g., demeaning, invalidating, discounting, ignoring, disrespecting, etc.) . The CCM practitioner skillfully guides those in conflict out of this process back to one that is empowering and conducive to an acceptable resolution to the conflict. CCM practitioners are aware of which “body” each of those in conflict gravitates toward when managing his or her conceptual structure and affect. Using this ICM2 process, the CCM practitioner can then guide parties to establish a grounding in a body that best supports an optimal outcome. Mirroring and metaphor, as well as other techniques, are applied to support effective outcomes. Please contact the International Center for more information about Compassionate Conflict Management information, training, and assistance. working to foster the value and practice of compassion in organizations worldwide. Copyright ©2019 by the International Center for Compassionate Organizations. All rights reserved.